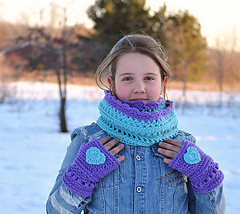 ✦ Make some Fun Fingerless Gloves with this PDF Pattern. ✦ Keep fingers free for texting, while warding off the chill! 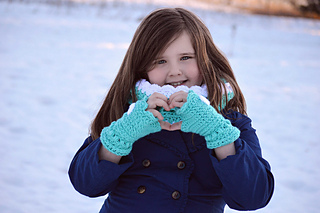 ✦ Embellish your mittens with included Flower, Heart, or Bow Appliqués. 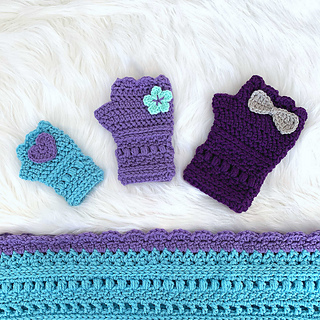 ✦ Create a Simple set of Gloves without the Appliqué! ✦ 4 Sizes including Toddler, Child, SM Adult, and LG Adult! 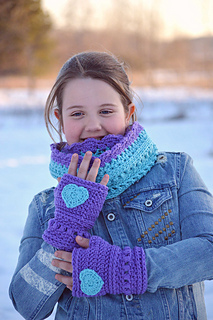 ✦ Crochet Pattern for Cozy Fingerless Mittens. 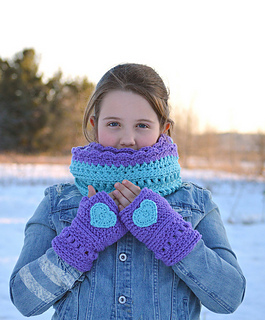 ✦ Works up beautifully using Red Heart with Love yarn! ✦ One Skein project! 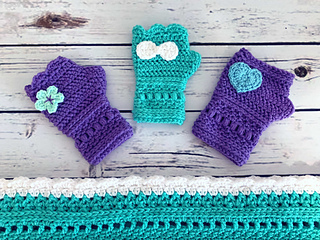 Easily use scrap yarn for embellishments! --> Learn to create a Foundation Half Double Crochet with my Video Tutorial. --> This is an INTERMEDIATE Crochet Pattern, using some advanced stitches. Click here to Join my Facebook Community for Exclusive Discounts, CALs, Giveaways and more! --> Join the FB Group! 13 page PDF pattern in US English with American Crochet terms. Your pattern is available to download from your Ravelry purchases, and an email will be sent with a download link as well. 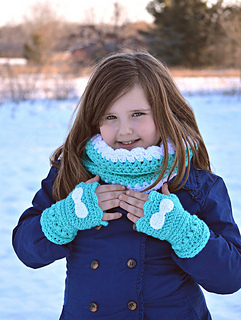 Green Fox Farms Designs Original Crochet Pattern! Due to the nature of digital downloads, there are no refunds for this item. I am here to help if you have any questions! My email and social media contacts are included with each pattern purchase, as well as photo tutorials for challenging or unusual stitches. You may sell items you make using this pattern. If you sell them online, please provide a link back to my shop. This pattern is for use by the purchaser only and cannot be sold, copied, or used for mass production. You may not use my photographs. Follow me! I share updates, photos, and occasional giveaways and sales on my social media pages. Come join the fun!